Richard Kasperowski is a speaker, teacher, coach, and author focused on high-performance teams. Kasperowski is the author of The Core Protocols: A Guide to Greatness. He leads clients in building great teams that get great results using the Core Protocols, agile, and open-space technology. Richard created and teaches the course Agile Software Development at Harvard University. To learn more visit kasperowski.com. This book provides a framework for exploring the power of positivity and an abundance mindset, as well as the freedom that comes from engaging with work and colleagues honestly and transparently. Learn how to put in place the behaviors and commitments which will promote team emotional intelligence, and provide a psychologically-safe space for each individual to bring their best self to the group and perform optimally as a team. Each of the Core Protocols is explored in turn, along with actionable steps to put them into practice in a variety of settings. 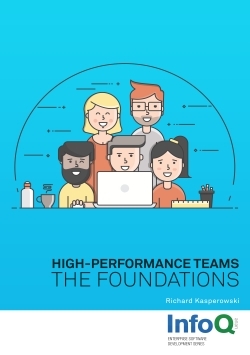 A great team deserves strong foundations, and this book will help you to achieve exactly that. Build and maintain high-performance teams with the Core Protocols, Agile, and Open Space Technology. Subscribe to Richard Kasperowski’s newsletter for the latest news on high-performance teams. Yes, I want to subscribe to Richard’s newsletter for the latest news on high-performance teams.